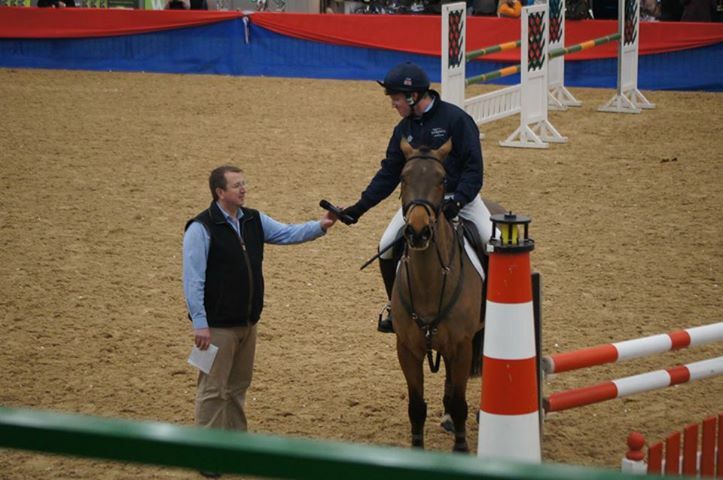 Ollie Townend on a Ramiro B son chatting about breeding. I am not a breeder and though the dream is always there of having a good mare who you then breed from, realistically its a bit of a pipe dream. What I find from going to events like this is the chance to look up close at bloodlines, temperament and performance in some really lovely stallions. I love improving my knowledge in horses and though breeding is only part of the equation of what makes a good horse, I find that breeding will give you key indications of whether you are going to end up with the horse you want which is why I think it is so important for riders to develop their knowledge in this area. At Hartpury, the stallions which stood out for me in the Eventing section were Future Gravitas, Sula Blue and Jaguar Mail. Future Gravitas is a 4yo by Grafenstoltz (Competed at 3* with Michael Jung) out of Justwith Genoa (who also produced the wonderful Winsome Adante). This horse stood out for me as he had super presence which is a must have for me in a stallion, well put together, moved athletically and then when I went to meet him in the stable was a really nice chilled horse with crowds standing around him. Though this stallion has just started in his ridden work having been broken only a couple of months previously I was really impressed by his attitude in the very intimidating arena and how he just knuckled down to it all. There was a baby mistake in the jumping which I would forgive as the only time he looked slightly overwhelmed and very green but it improved something which again I look for in event horses. The capacity to learn and improve. If you are going to be ultra critical he has a slight twist in the front foot when he moves. Overall he was rather lovely, uphill, super set neck which is vital if being bred to a mare weak in this area and looks a super prospect for the future. Amazing to get so close to a wonderful stallion like Arko and see what they are like in the stable. Sula Blue is a pure TB 12yo stallion by Sula Bula our of a mare TB mare. The damline has Hail to Reason which I love in sporthorse TB pedigrees. Sula Blue has evented and was recently 2nd in the 2* at Weston Park and 4th in the Intermediate Championships at Gatcombe. I liked that he was a pure TB who was doing the job himself. He is nice and uphill with a good set neck which can often be weak in TB horses. 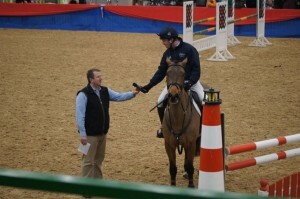 His jumping was good and he was also forgiving when his rider got him in too deep at an upright. He demonstrated his prowess in the jumping when jumping the course builder and the triple bar pulled out wide as it was in the process of being moved to make the distance from the previous oxer better. He is the type of TB stallion which would be a great cross with a warmblood to add the extra TB blood needed for eventing. In the ring he had a 4yo daughter who looked a good eventing stamp and was out of a KWPN mare. Jaguar Mail is a 16yo stallion by Hand in Glove out of a mare with Alme blood. Jaguar Mail is 75% TB yet has show jumped at the Beijing Olympics. He had charisma in buckets and clearly enjoyed being at a party. It was a shame not to see him ridden as he was led in hand but when I visited him in the stable he was incredibly chilled and had impressively clean legs for a horse who has been shuttled round the world jumping at the top events. His stallion son Britannia’s Mail was there (Jaguar Mail out of Headley Britannia) but it was Jaguar Mail for me who just looked incredible. A super head, great wither and uphill frame. Jaguar Mail’s sire Hand in Glove (now deceased) has produced several eventers including one of my favourites 4* eventer Treason. There were several lovely jumping stallions but the one I really loved was Ipso Radco III. He had great movement, outstanding neck and head and looked great over a jump. 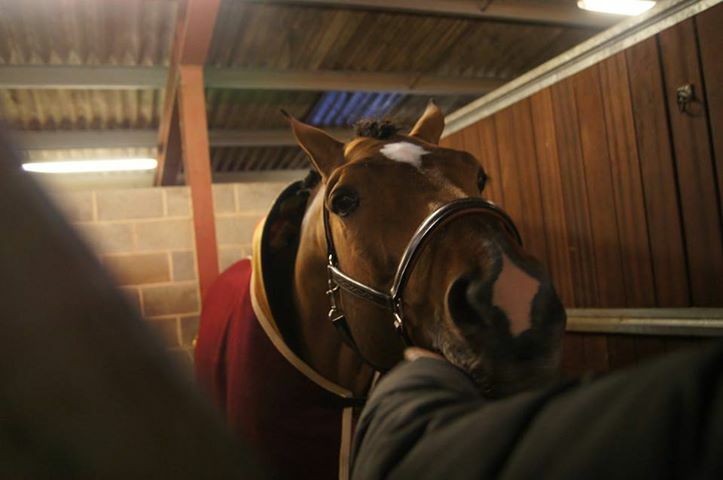 I thought Paddock Woods Stud (home of Max Routledge and Emily Llewellyn) had some excellent jumping horses in the already proven Typhoon S and younger Denver V. It was also great to see the wonderful Arko but even better to see him in the stable and give him a pat. I have managed to edit this video so you can see who is each stallion is! 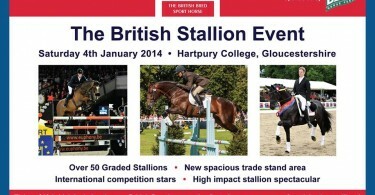 Unfortunately my Ipad had a heart attack at the size of the eventing stallions file! All in all I had a really great day and I will definitely make the effort to go back. I saw a few of the dressage stallions in the evening but it started off with ponies and the ones I really wanted to see were too late for me. I think the format works really well and its great to see horses who you would not have the chance to normally. 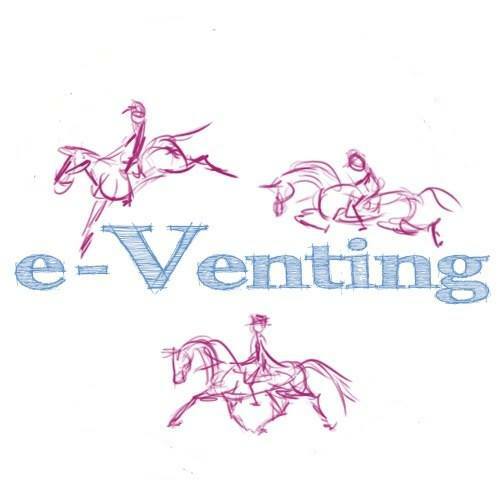 I have some interviews with Oliver Townend, Emily Llewellyn and Lucinda Fredericks to type up at some point where they talk about their thoughts on breeding for eventing. 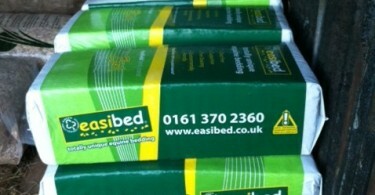 How Did I Live Without. . .Easibed? Tip of the Day: (Sometimes) Hard-won XC tips, part 2.